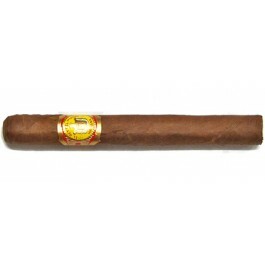 The El Rey Del Mundo Demi Tasse is a Cuban delight, a tasty mild-medium Small Panetela, 3.9” (100mm) long, of 30 ring gauge, and comes in a 25 cigars box. Every great brand of Habanos has a smallest format to offer and so does El Rey del Mundo with this Demi Tasse. 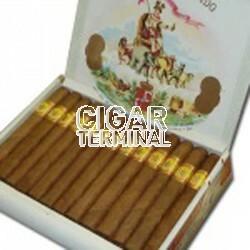 It is a discrete smoke, just a bit more than a cigarette but less than a cigar, like Panetelas. This is the perfect choice of a Havana smoke for a short break. Recommended aging is 20 years to be at its prime but who can wait that long. If you can, you will be greatly rewarded. Buy a few boxes and set them aside. Mild but full of flavors. • Sweet honey, fruity, chocolate and nuts. • Sip this cigar slowly. Great finish and great paired with champagne. Starts out with dried fruits and some cream. Some pepper comes into play with some sweet spice. The final third brings on some leather, a nuttiness and some more cream. In summary, every puff reveals greater character and finesse.